Hrithik Roshan who recently shared an inspiring video about his fitness secret urges his parents Pinki and Rakesh Roshan as well as friends, Tiger Shroff and Kunal Kapoor to take up the fitness challenge. 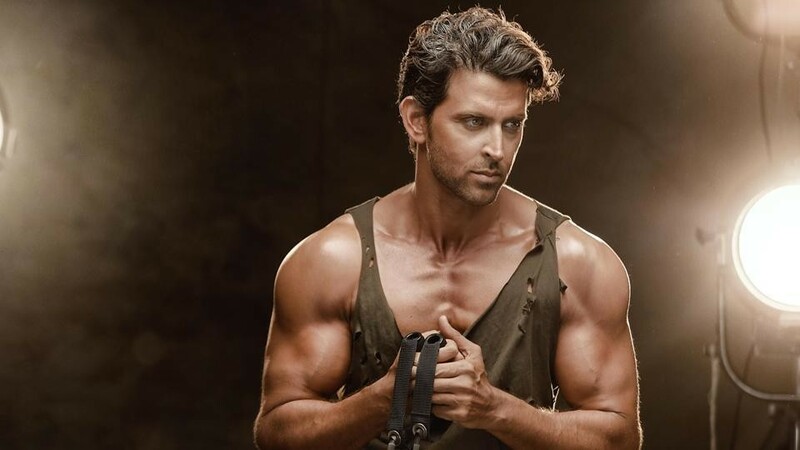 Known to be one of the fittest actors in Bollywood, Hrithik Roshan has time and again amazed the audience with his incredible physique and fitness regime. Recently, undertaking a challenge by Rajyavardhan Rathore, Hrithik Roshan shared a video revealing his daily commute to the office. After creating a stir across the internet, Hrithik Roshan has now challenged his family and friends to take up the challenge. 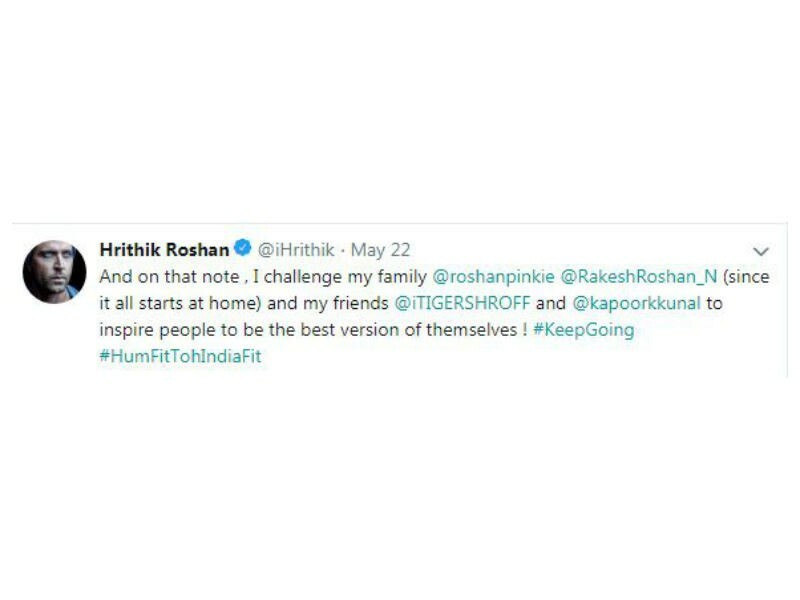 Hrithik tweeted saying, "And on that note , I challenge my family @roshanpinkie @RakeshRoshan_N (since it all starts at home) and my friends @iTIGERSHROFF and @kapoorkkunal to inspire people to be the best version of themselves ! #KeepGoing #HumFitTohIndiaFit". Hrithik has been inspiring other for a very long time and now he expects everyone to be the best version of themselves.